MyQ Africa area was first formed when we started to construct MyQ Safari. MyQ Africa was based on idea “The first time, European expedition set foot in the wild environment of Africa, which contains many mysteries, interesting things about nature, animals, culture and people here”. Area of MyQ Africa to 14 Ha, which was reappeared wild Africa nature with Savanna grassland and Africa’s animals were raised free range. I really like my brown spot coat because it makes me different from others. The older I am the darker spots are. I don’t sweat so the heat extraction is happened through brown spots. Tall is an advantage because I can eat young leaves on high branches without competing with other animals. But it is also a disadvantage because I have to bend over to drink water and that’s a great opportunities for predators to catch me. Instead of drinking water, I eat acacia leaves which contain a lot of water. Thanks to my flexible long tongue and prehensile lips that I can eat acacia leaves protected by long thorns. I only need 1 to 2 hours to sleep, is that amazing? 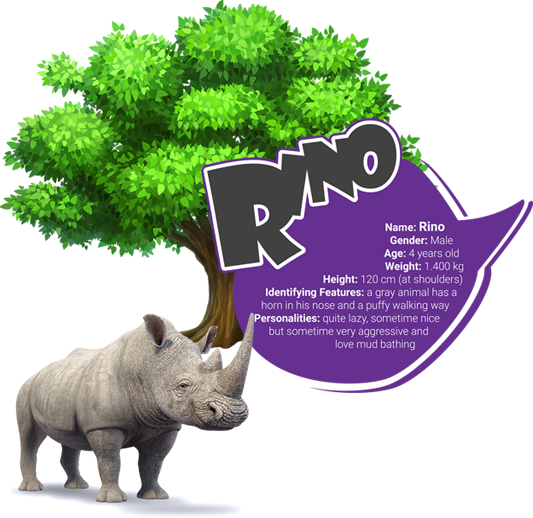 My name is Rino, very nice to meet you. Some people rumor that rhino horns are precious medicine can cure most of sickness but in fact, our horns are made of keratin, the same material that makes up human fingernails and hair. The only thing special about rhino horns is that they don’t have bone inside. I love mud bathing so I can do it all day. Mud is my moisturizer and insect repellent. My ears can move independently of each other and in different directions. Rhino vision is extremely poor but I prepare to defense when hearing dangerous alarm calls from my friends – sharper-eyed birds called oxpecker. 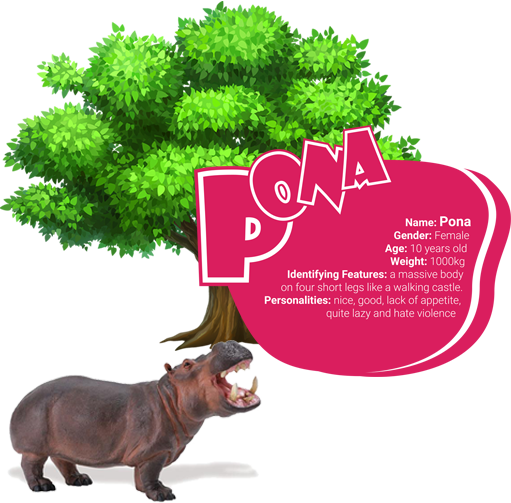 My name is Pona, nice to meet you everybody. In the morning I usually wallow in the pool. If I stay out of water for a while, I will secrete a thick red substance known as “blood sweat”. It’s not blood; it’s just my moisturizer and sunscreen. Even though my skin is easily to cracked, it’s still really thick that lions or crocodiles can’t bite me. My top secret is that I cannot swim. I move around in deep water area by slightly touching the bottom of the pool with my toes like aquatic ballet dancers. I’m much faster than I appear, reaching speeds of 30kph on land and also moving quickly in the water. My name is Zaza, nice to meet you. Zebra stripes are white with black or black with white? This is one of the most-asked questions about zebras but I don’t care much about this. I only know that my stripe coat serves as a kind of protection from predators and blood-sucking insects because they usually feel dizzy when looking at my coat so they leave. We are mainly distinguished by the stripes on the shoulders and neck. 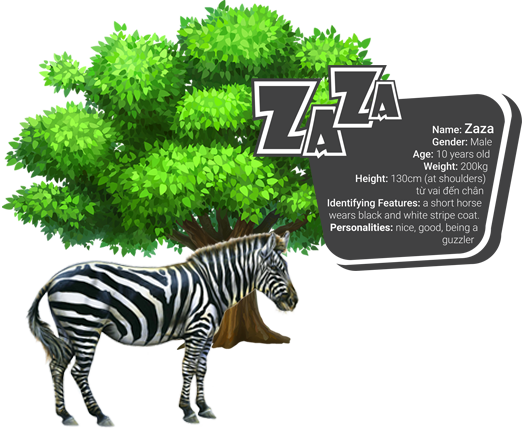 Zebras live in different places has different types of stripes. In fact, the further south of Africa we live, the wider stripes we get! Zebras are attracted to black-and-white stripes do if you wear black-and-white stripe T-shirt, I might stand next to you. My eyesight at night is about as good as that of an owl. Hello everybody, my name is Toto. 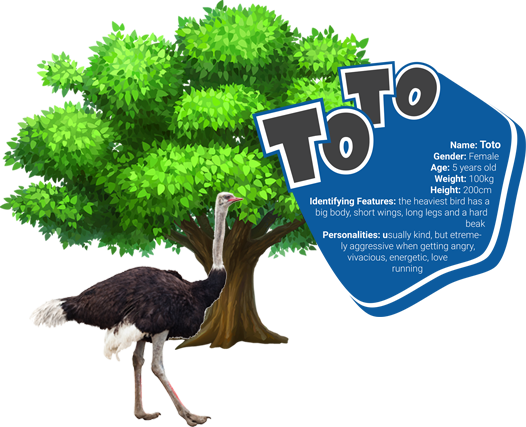 I’m named Toto because of a big body, big eyes, big feet, a big belly and so on. Instead of flying, I use my 2 wings to balance when running. My 2 strong legs can sprint in short bursts up to 80 kph. Because I’m a largest big so my eyes are as big as tennis balls and my egg is equivalent to the weight of about 24 chicken eggs. Do you know that I never put my head in the sand? I just collect sand, pebbles and small stones. I need them for digestion by grind up food in the gizzard because I don’t have teeth to chew. It is great to rent a tent and repose among wild nature. Go to MyQ Africa, you not only enjoy the beautiful of Africa nature but also play games: swing across the river, climbing rope ladder. At here we have put outdoor grill and fresh material of restaurant for you cook and celebrate outside BBQ. Circus performs in the evening. This is area, Wild Africa’s animals are raised free range: Lion, black Rhino, Africa’s Elephant, Leopard. 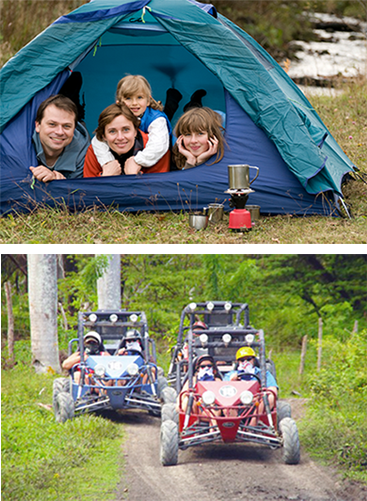 In this area you can plays the explorers and sightseeing by terrain vehicle, take a photo with animals. Order you can enjoy the first time at Viet Nam activities same feed for animal, riding lion. Staged scenes same the attack, daily activities of aborigines will give new experience for you. 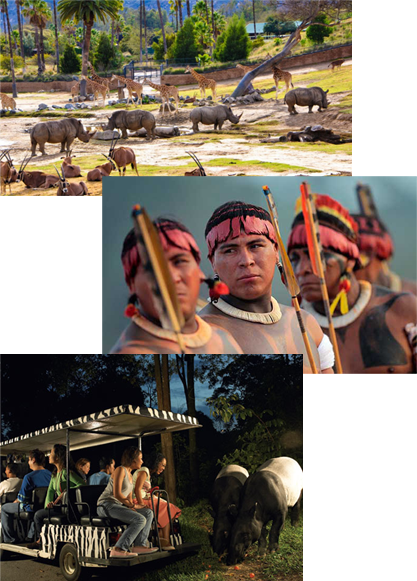 Tour Safari Night is organized for you to go sightseeing animals at night. Open full day 24/7 and 6 - 8 million traveler/ year, it make MyQ Africa become the best advertising location of companies. The traveler can know your barn and enjoin activities of your company. + Camping area: This is the place visitors can pose and have a meal. It is also the best ideal investment for Beverage, fast food Company and BBQ restaurant. We have staffs act aborigines, who will help you promote products and directions to your booth to MyQ Africa traveler. + Routes: Along the way we will design the space so you can put the billboards, product introduction booth at the station. 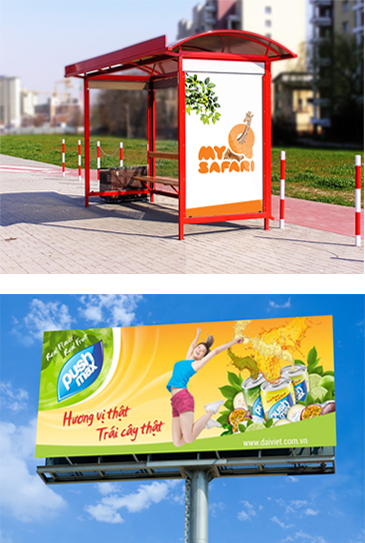 + Poster, affix on bus, terrain vehicle: You have the opportunity to advertise on the terrain vehicles, buses and other cars in the My Quynh zoo. 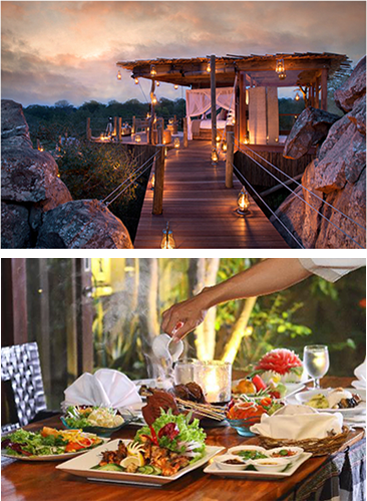 Designed with architectural Treehouse restaurant offers diners feeling close to wild nature and overlooking MyQ Safari animals while they enjoy the exquisite cuisine of restaurant. 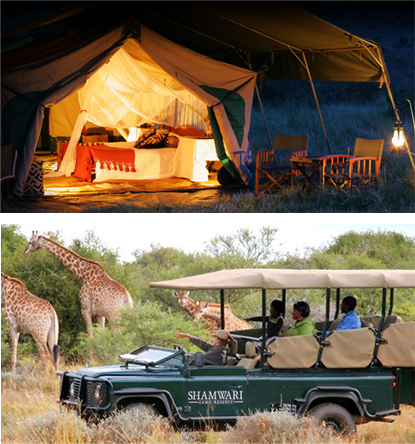 Dining area also includes BBQ restaurants serving outside for visitors can enjoy camping in Africa. We welcome all types of world cuisine in this area. Placed along the entire region to address the needs of the family drinks in the play area. We welcome the café and bar / Car desired water supply drinking water to visitors at MyQ Africa. MyQ Africa has a souvenir shop, 220 m2. We franchise logo and design brands MyQ Safari, MyQ Vietnam, MyQ Resort, MyQ Amusement Park. 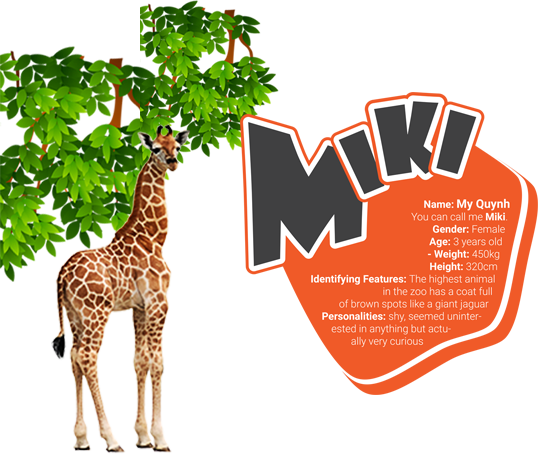 You absolutely can use this label to create hundreds of thousands of souvenir items related to the zoo. Research shows that 80% of children and families to the Zoo want souvenir, this is revenue source for the store. 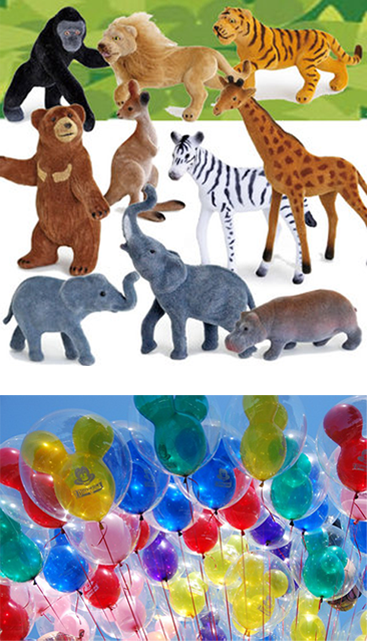 We welcome the car balloons, jewelry, accessories, toys and animals along this. Businesses are lowest cost investments but it can be profitable but extremely attractive. We have parking area terrain and guides visitors to rent. We tender this business, this is an attractive business with promising profits. 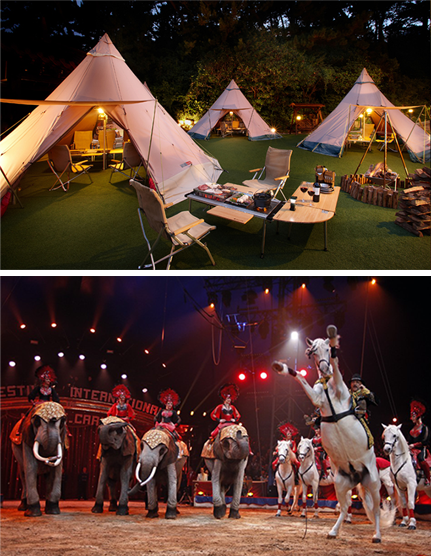 We have camping areas and areas for rent tents. We tender this business, a simple management with activities revenue. We also welcome investors bidding for activities at the zoo. The unit photography services business can provide all of the photographers in the zoo. We can guarantee individual freedom to compete with the unit bidding activity. Photographic business can rent dresses. If you have other services in accordance with the zoo, do not hesitate to contact us.